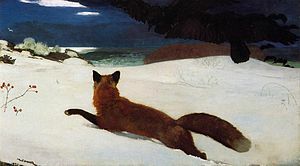 The struggle to survive in harsh conditions depicted in Winslow Homer's masterpiece "The Fox Hunt"
In the current unfavorable economic climate, the ability to assert lien rights can determine economic life or death for those who furnish labor or materials to construction projects. On the other side of the equation, developers and owners are taking matters into their own hands to avoid costly and disruptive liens. For example, owners are more closely monitoring downstream payments, strictly enforcing lien waiver requirements, and communicating directly with first, second, and third tier subs and suppliers as the project progresses. While these risk mitigation techniques are easy to implement, owners desiring even more protection against liens are structuring development deals to take advantage of loopholes or weaknesses in North Carolina’s mechanic’s lien law. In Pete Wall Plumbing Co., Inc. v. Sandra Anderson Builders, Inc., et al., COA09-1449-2 (Sept. 6, 2011), the Greensboro Housing Authority (the “Housing Authority”), a quasi-governmental entity, employed this latter technique to effectively eradicate lien rights for the subcontractors and suppliers involved in the construction of six low-income homes. Through a series of transactions, the Housing Authority, its construction lender, the developer, Willow Oaks Development, LLC (“Willow Oaks”), and the general contractor, Sandra Anderson Builders, Inc. (“SAB”), effectively eliminated the lienable property interest. The details of the plan are set forth in the Court of Appeals’ lengthy opinion, but in short, the Housing Authority leased the six properties to Willow Oaks who, in turn, subleased the properties to SAB. The subleases required SAB to construct the single family homes on the properties, and further provided that SAB would be the “owner” of the improvements during the term of the Subleases. 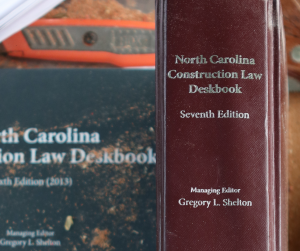 Upon completion of the work, SAB was required to “convey the Improvements to a Homebuyer in accordance with the provisions set forth in the Master Ground Lease.” The Subleases were recorded with the Guilford County Register of Deeds. SAB, the now defunct general contractor/subtenant/“owner,” failed to pay its first-tier subcontractor, Pete Wall Plumbing Co., Inc. (“Pete Wall”), for plumbing supplies and services furnished on the properties. By the time Pete Wall served the interested parties with liens on the contract funds and properties, four of the six properties had already been conveyed by “owner” SAB to the new homeowners, and the two unsold properties were subject to the construction lender’s priority interest in foreclosure. Pete Wall filed a lawsuit to enforce its liens, but the trial court ordered that the liens be discharged (canceled) on the grounds that Pete Wall’s lien rights encumbered only SAB’s interest in the properties, and SAB’s interest in the properties terminated when the properties were sold. The Pete Wall decision will be attacked and defended by the various constituencies on legal and moral grounds. There is much to debate, because the Court of Appeals could have employed the language of Chapter 44A (the lien statute) to reach the opposite result. But for now, everyone involved in construction should recognize what the decision means going forward. For owners and developers, the Pete Wall decision represents a green light for Rube Goldberg-type real estate transactions designed to eliminate the possibility of any lien ever attaching to their property. For potential lien claimants (contractors, subs, suppliers, laborers, and design professionals), the decision highlights the importance of due diligence before signing on the dotted line.